Edo state Governor, Godwin Obaseki, has assured women of his administration’s commitment to ensuring that Edo State becomes an economic hub through self-sufficiency in terms of capacity building, infrastructural development, industrialisation and employment generation. 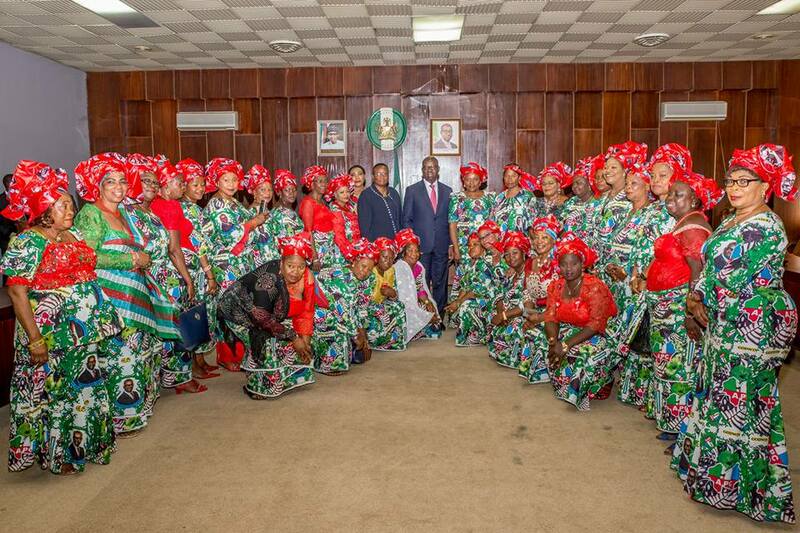 Governor Obaseki gave this assurance yesterday when he received the executive members of the All Progressives Congress (APC) women of Edo State who paid him a solidarity visit at The Government House in Benin City. Addressing the delegation, the governor, who expressed joy over the visit, promised to fulfil all his electioneering promises, which include capturing at least 35% women affirmatively in appointments into key positions, which, according to him, would be implemented as soon as the Edo State House of Assembly passes the 2017 budget currently under consideration into law. Meanwhile, he admonished the women to ensure that APC leaders across wards and local government areas carry their people along in terms of quality service delivery. He also added that the party with a view to ensuring that those to be entrusted with these positions are diligent trusted and ready to serve the people rather than those who will likely abuse such offices for self-aggrandisement would determine appointment into key positions. “The message I am sending to the people I am going to appoint is that Government House is not where you come and make money, but where you come to serve. Edo State does not have money to give anybody, the state’s money is to be used to work for the people”, he warned. Also speaking, the APC State women leader, Dr. Aisosa Amadasun disclosed that because of Obaseki’s pedigree, women are not surprised to have him as their governor due to his creditable service in the administration of former Governor Adams Oshiomhole. On behalf of women, however, Dr. Mrs. Amadasun promised to be loyal while urging the governor to take after his predecessor, in whose administration women enjoyed full participation in governance.